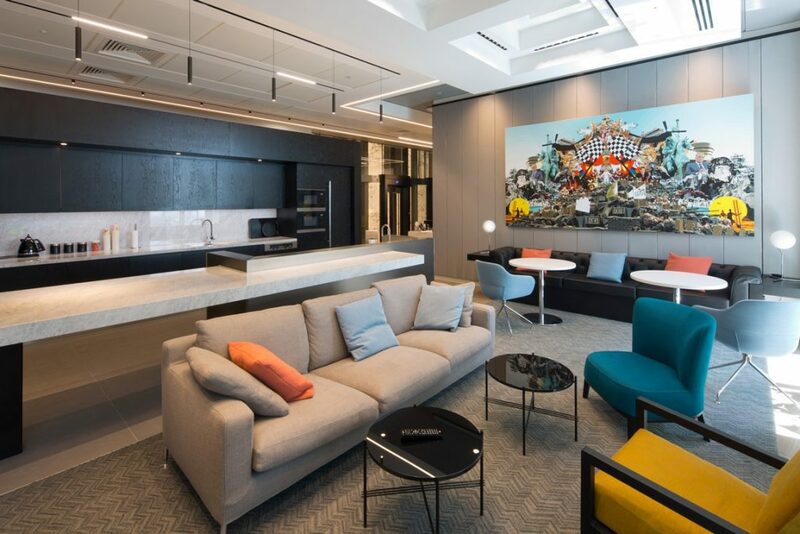 Incorporating art in the workplace is sometime viewed as a luxury when it comes to office design, something that only larger corporates with deep pockets could contemplate. Consequently, and unfortunately for many offices, the impact of art in the workplace has been significantly underestimated. 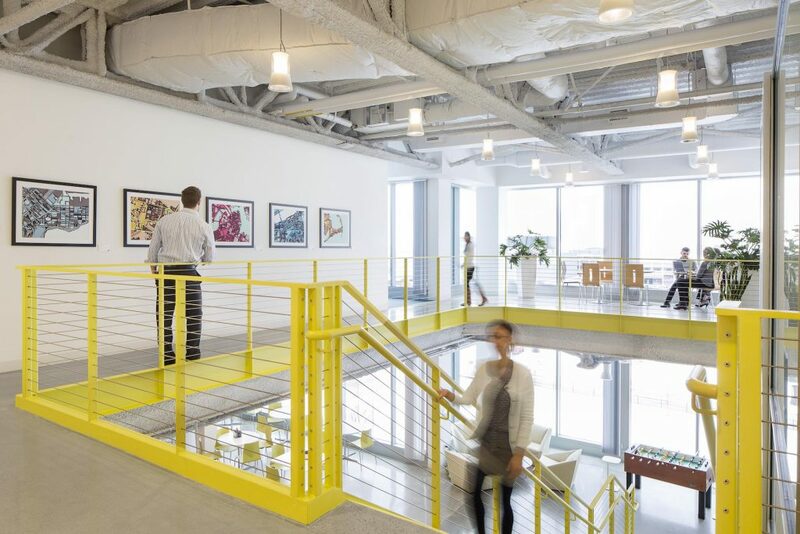 That is until now and following a slew of studies and articles highlighting the positive effects that artwork can have, more and more companies are embracing art in the workplace. Furthermore, Forbes look at a US study, dispelling the notion that art in the workplace is merely decorative and that found that 78% of respondents agreed that art in the workplace reduced stress levels, while 64% stated that it increased and inspired creativity. The survey which elicited over 800 responses also found that art in the workplace encouraged increased collaboration and expressions of opinion from employees. When the design team at K2 start working with clients, we like to spend some time developing their brief to ensure we create an environment that reflects who they are and how they work, and increasingly, the discussion does include artwork and features, and where they can be incorporated. 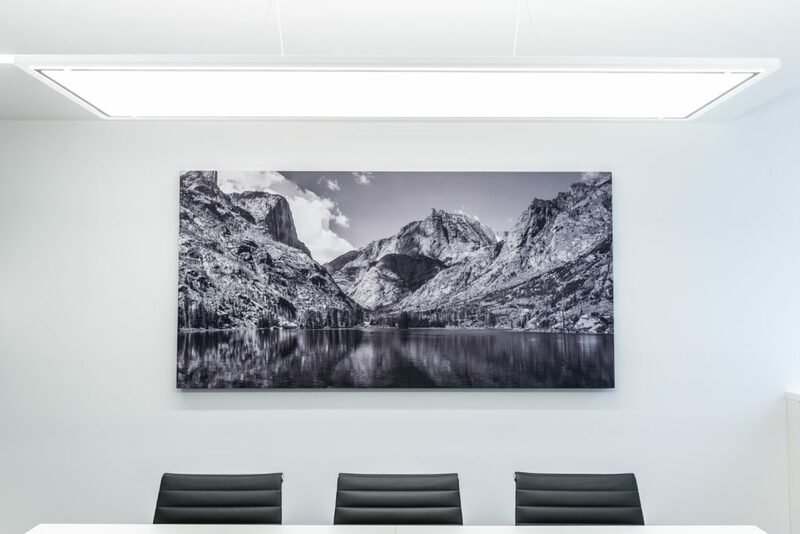 Traditionally, the reception area and boardroom were the primary beneficiaries of artwork as they tended to be where visitors and clients waited or met with staff, but we’ve certainly witnessed an upsurge in artwork being included in the open plan, in corridors and in breakout areas. Office design has evolved to a point where the primary focus is now on creating a space where staff are comfortable, where they enjoy working and ultimately, where they can be most productive. 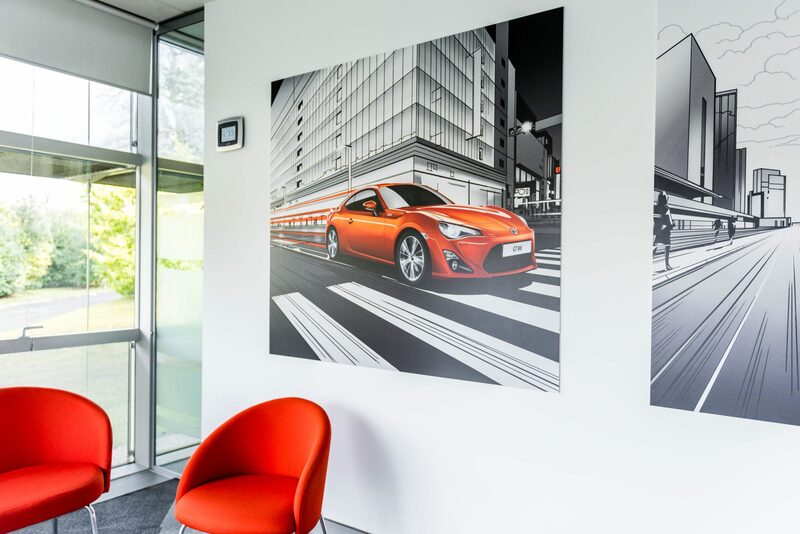 These factors allied to an emphasis on employee wellbeing have resulted in artwork becoming commonplace in many UK offices and a key consideration for all office designers. They found that workers in the enriched space completed work on average 15% quicker, while those in the lean space had the fewest health or wellbeing complaints. However, those in the enriched space doubled both figures – a sure sign that this type of environment had the potential to not only increase productivity but also workplace wellbeing. To provide a full picture, those working in the disempowered space, their productivity levels were the same as those in the lean space. “In 12 years, we have never found that lean offices create better results; and the more involved people are in the enrichment process, the more they are able to realise a part of themselves in the space,” explains Knight. Art for Wayfinding: In a large, spread out workplace, finding your bearings can be problematic but at Deutsche Bank, the world’s largest corporate art collector has found a novel way to counter this using artwork. Each of the nearly 60 conference rooms display a prominent British or German artist and is named after the artist itself. The hallways…often echo with staff expressions such as: “Is Freud free at present?” or “Are we meeting in Richter?” – I agree, not feasible for every workplace but an interesting nugget of information nonetheless. Art for Staff Retention: While art undoubtedly has a positive impact on creativity, wellbeing and productivity, it can also serve to improve staff retention, a key cost for all businesses. The premises is simple, staff desire to work in an environment which is comfortable, creative and allows them to fulfill their maximum potential. I’m not saying that artwork can do all of that but it can certainly help. 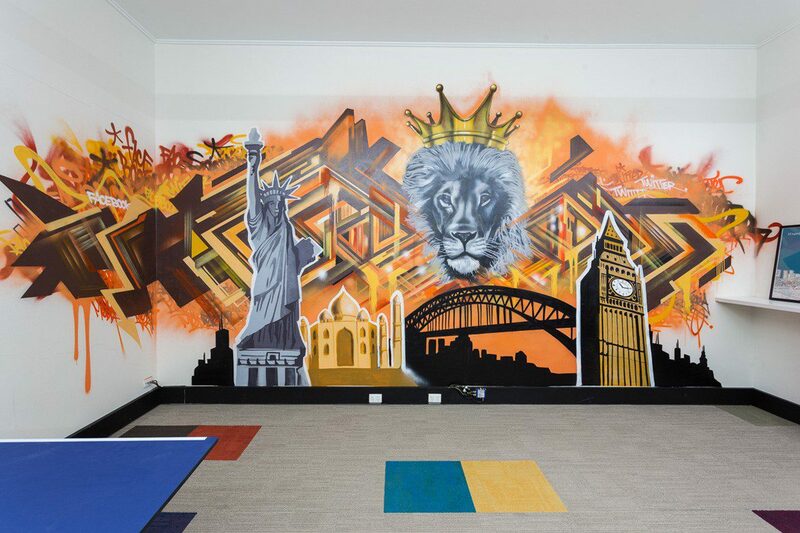 Art is more relevant than ever in today’s work office and can take many forms, from traditional framed artwork to feature pieces and in a modern twist, graffiti. 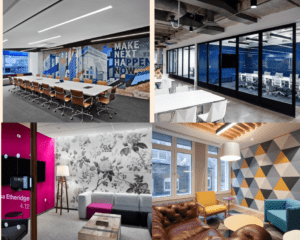 As you’ve probably realised, the K2 Space team are massive advocates of including art in the workplace designs that we create, and cannot stress enough that it is possible with the smallest of budgets, and can have an incredible long term positive impact. Our advice, be brave and embrace the art, you won’t regret it.